Each year, thousands of scholastic players descend upon a different location in the U.S. to compete at the National Scholastic Chess Championships. This yearâ€™s Grade School Nationals event was held at Lake Buena Vista, Florida (at Disneyworld) with 1350 students participating. 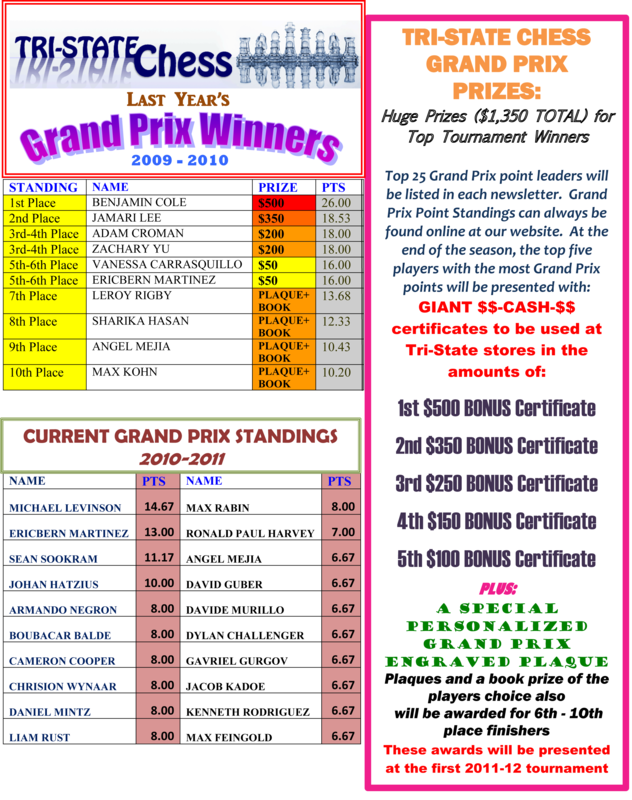 The tournament is divided by grades and produces a National Championship individual and team for each grade. Playing up into a higher grade is not allowed. Teams of at least 3 players from the same school must be in the same grade to create a team. 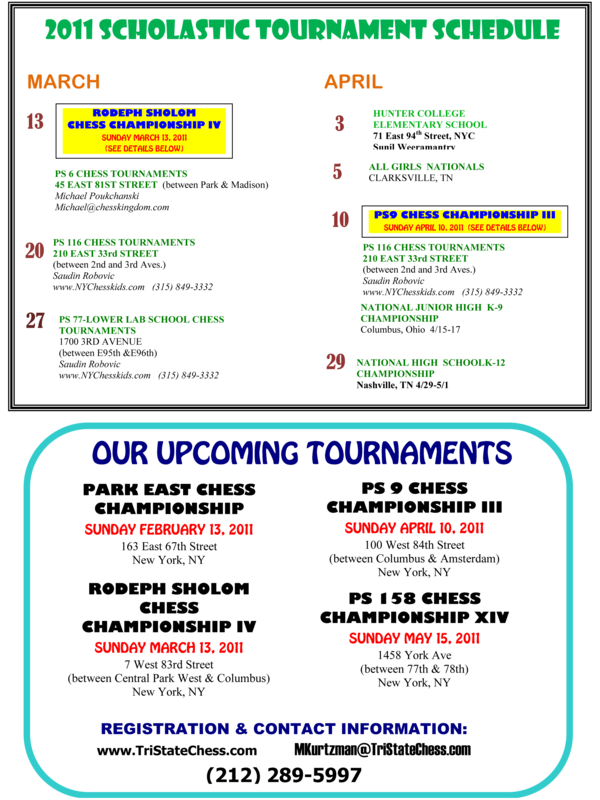 The Ramaz Chess Team has a great history of competing successfully at Nationals. This year was no exception. The 7th grade team from Ramaz captured the 2nd place team honors in the USA, by scoring brutal victories over some very powerful opponents. the queen, a bishop or a pawn. When you ask your partner for help and set up the pieces the king is so skinny it keeps falling over. 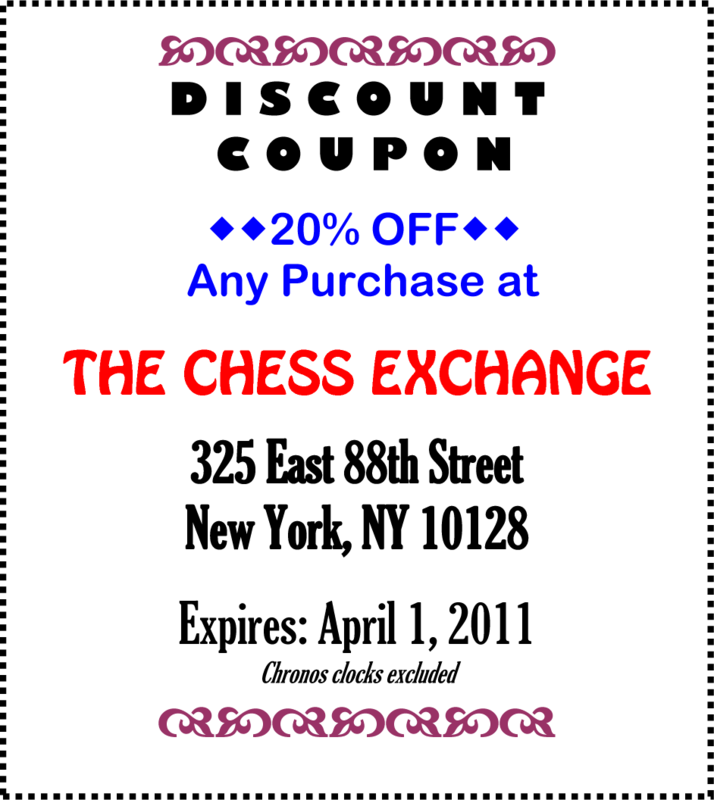 This might have happened 200 years ago before chess pieces had the same design. Beginners see it getting in the way of the game every tournament. Some kids who just learned what chess notation is a few weeks ago are so involved with writing down and recording their game that they don’t mind so much if they lose! 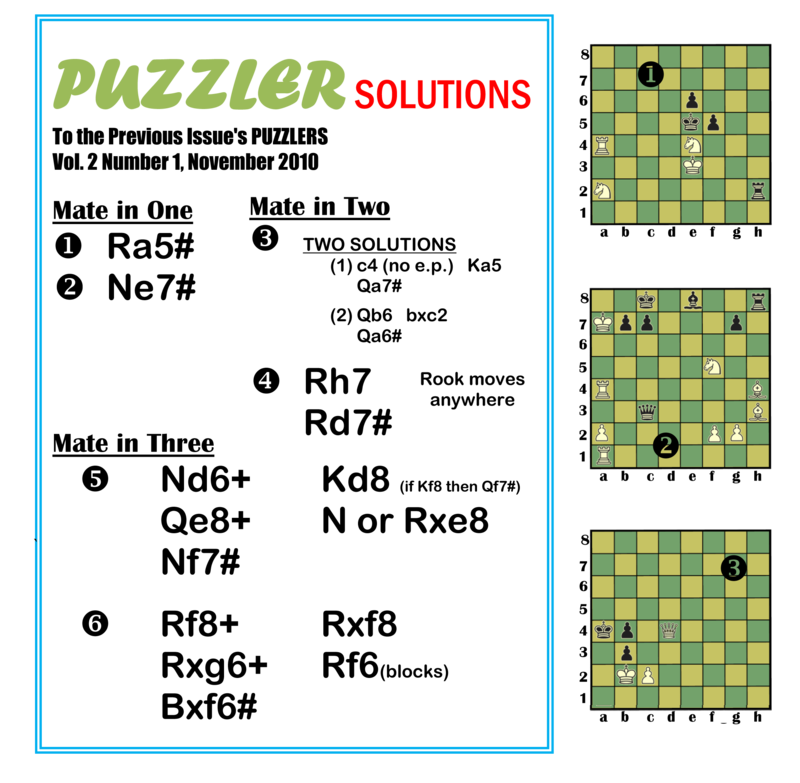 Chess notation or the system for recording your game should help you as a tool and not become so difficult that you spend energy and focus on writing your moves rather than planning to checkmate your opponent and win. 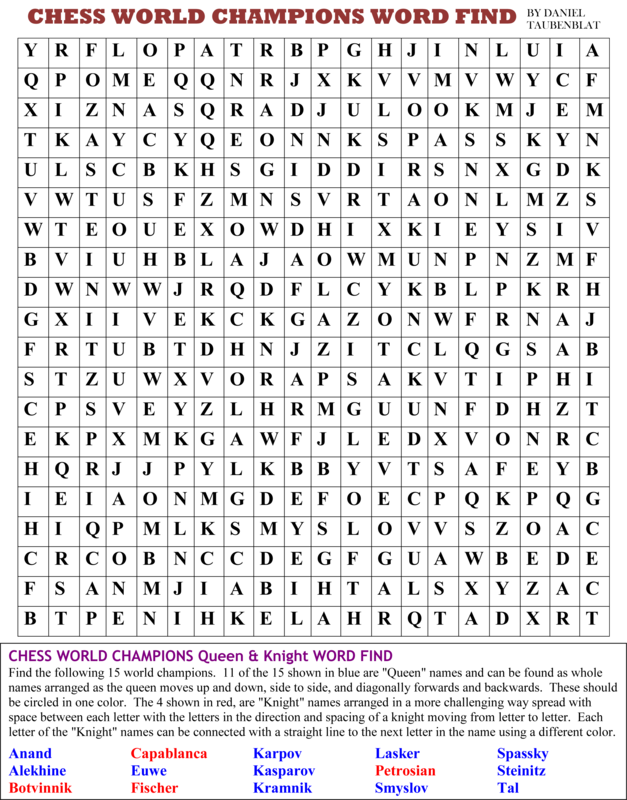 Chess notation is optional in the Beginner and Novice sections at our tournaments, but is mandatory in all other sections. Notation often helps immediately with questions or issues players might have with the game. usually from the student not raising the issue, showed precisely what had occurred and was evidence for how players moved, eliminating any argument! Beginners see it getting in the way of the game every tournament. Some kids who just learned what chess notation is a few weeks ago are so involved with writing down and recording their game that they don’t mind so much if they lose! Notation often helps immediately with questions or issues players might have with the game. At a recent tournament at P.S. 9 in December, tournament directors noticed many students in the beginner section raising their hands with questions about the accuracy of their opponentâ€™s moves. In several cases the notation, usually from the student not raising the issue, showed precisely what had occurred and was evidence for how players moved, eliminating any argument! Team Superstar, Jacob Berman, who has continuously led his team to victory, came through once again with a staggering 5.5 out of 7 points. Berman, whose only loss was to an Expert rated player in round 3, improved his rating to 1852. As of December 2010, Jacob Berman is ranked 28th in the country for players aged 11 and under, rated at 1807! Of course it is not enough to have one great player to win as a team at Nationals. The team has 3 other players who have consistently played well and scored upsets over higher rated players. Sarah Ascherman is one of them, scoring 4.5 out of 7 and achieving a draw in round 4 against a player rated 1902! In addition, Alex Eisenstein got his rating back over 1500 by beating a 1758 in round 4 and finishing with 4 points. Alex has finished in the top 25 of his grade at the Nationals numerous times in the past! Matthew Levy, the final member of the winning Ramaz Team also finished strong with 4 points, including 2 victories over players rated in the high 15 and 1600â€™s. After the tournament, Levy, Ascherman and Eisenstein had all raised their ratings to go above 1500. Joshua Berman and Daniel Levy also represented Ramaz with excellent results, but not in the same grade. Two years ago when this same team competed in the 5th Grade Nationals, they tied for 1st place and earned the title of US Co-Champions for 5th grade in 2008! 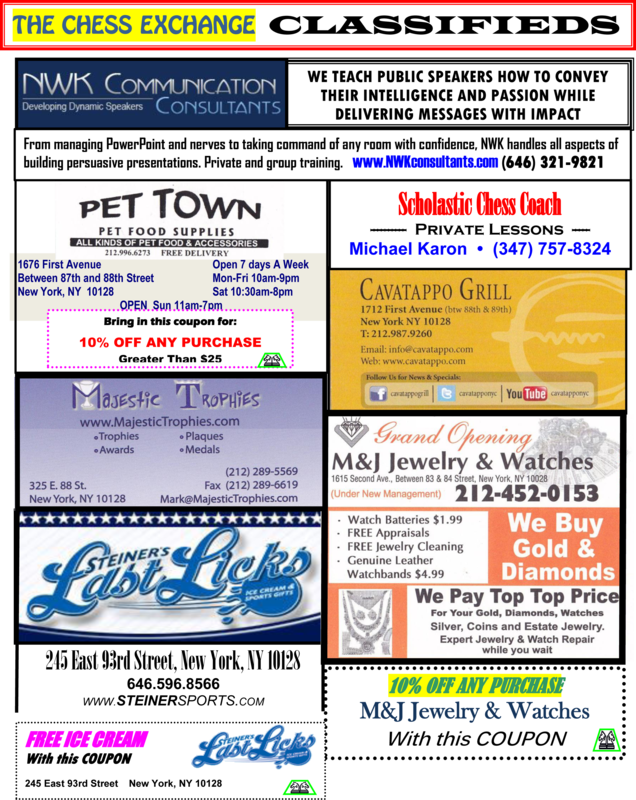 Congratulations to the Ramaz Chess Team!! In 1849, John Jaques and his brother in law Nathaniel Cook of the games company John Jaques of London, realized this problem of different chess sets and decided to come up with a new chess set. They used a style based on the art and buildings of Ancient Greece that was very fashionable at the time. Fifty years earlier Thomas Bruce,”The Lord of Elgin” who was England’s ambassador to Turkey, decided to draw the magnificent sculpture built around the top of the Parthenon, the greatest remaining building of the Ancient Greeks located in Athens, the capital city. Greece at the time was under Turkey’s rule so he had no problem getting access to the building. But he made a decision to take away the actual sculptures and bring them to England. Some people think he got permission from the Turkish government. 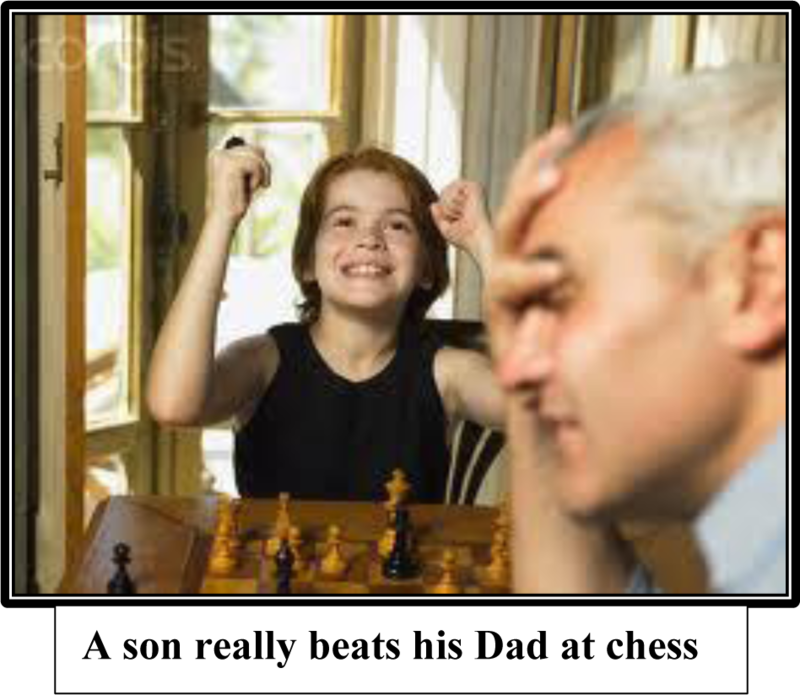 Jacques decided to start making and producing the new chess sets. He had Howard Staunton, a famous chess player, attach his name to the set and help sell them. Staunton got a fee for each set sold. 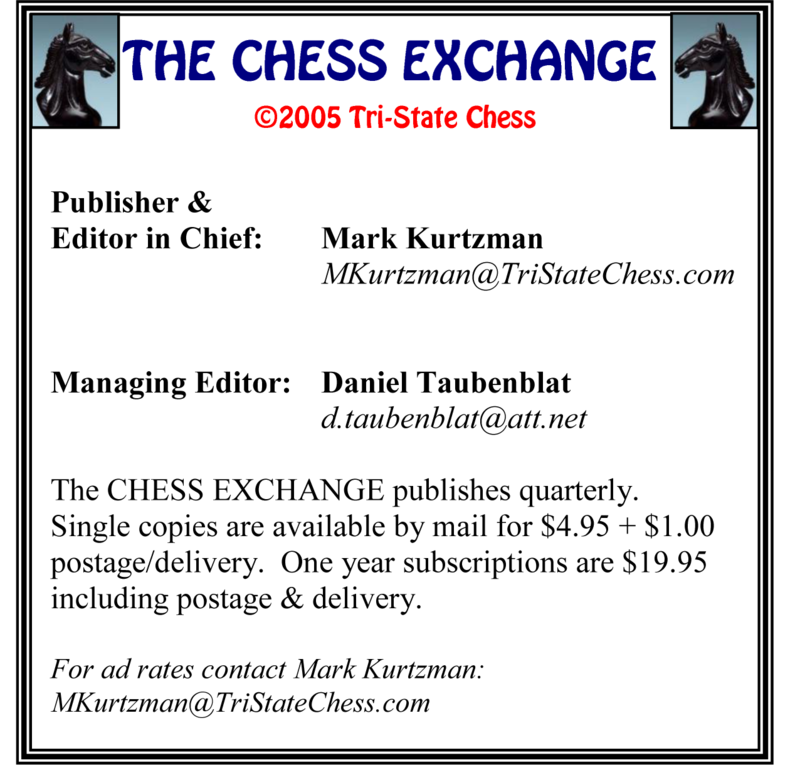 The design became so popular it spread around the world and the Staunton design remains the standard chess set we use at schools, tournaments, and sell at The Chess Exchange store. The argument for returning the marbles is still continuing today. Despite whether Elgin, and the British government did the right thing, what remains in your hand, every time you move Nf3 at the start of a game, are mini-sculptures of amazing detail and beauty based on some of the greatest art of the ancient world. 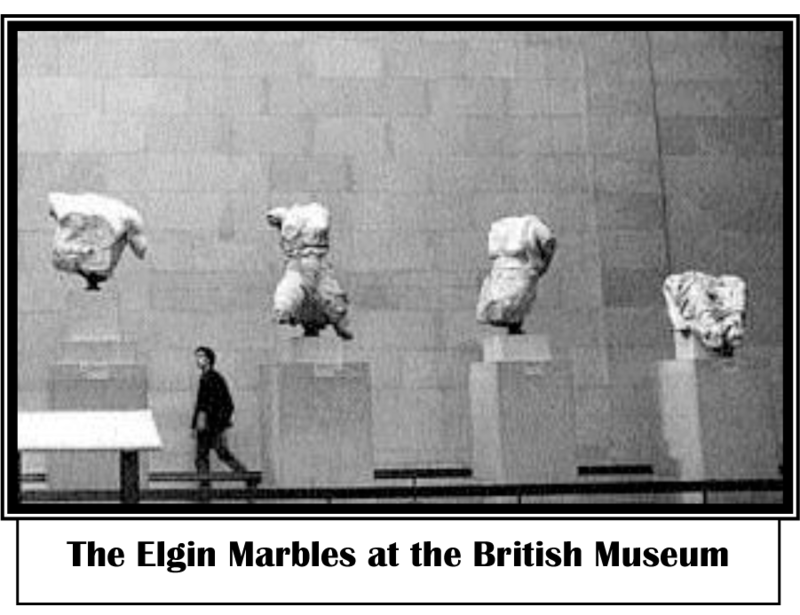 The “Elgin Marbles” were then in 1816 supposedly bought by the British government and placed in the British Museum where they still are today. 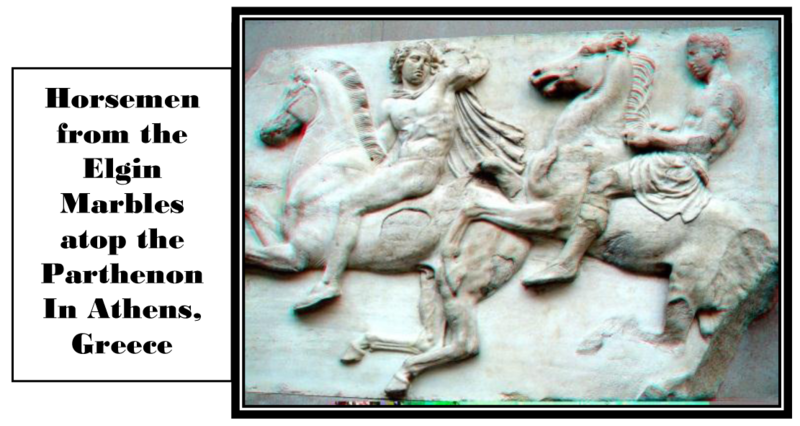 Many argue that the marbles should be returned to Greece. As students make progress in chess, especially at a higher level, they begin to experiment with pieces on the board and often ask if they can play with 4 queens in a different starting arrangement or with two full sets on a larger board. 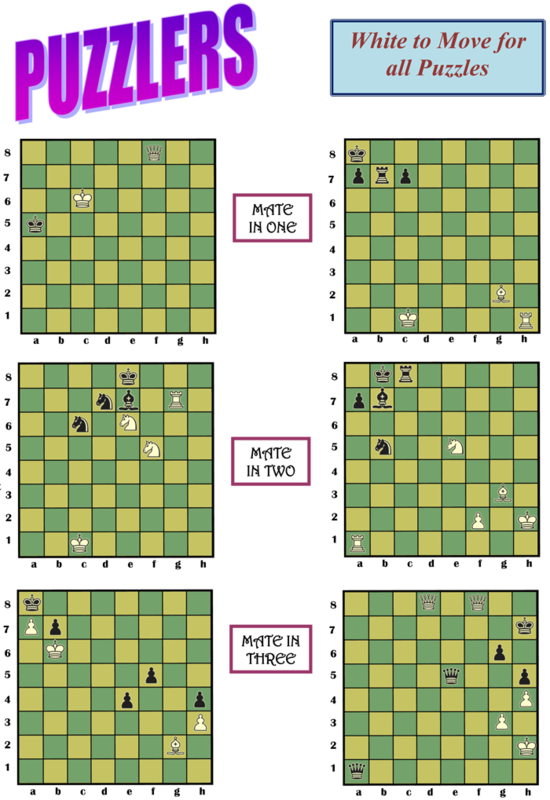 These changes to the standard game are called chess variants. 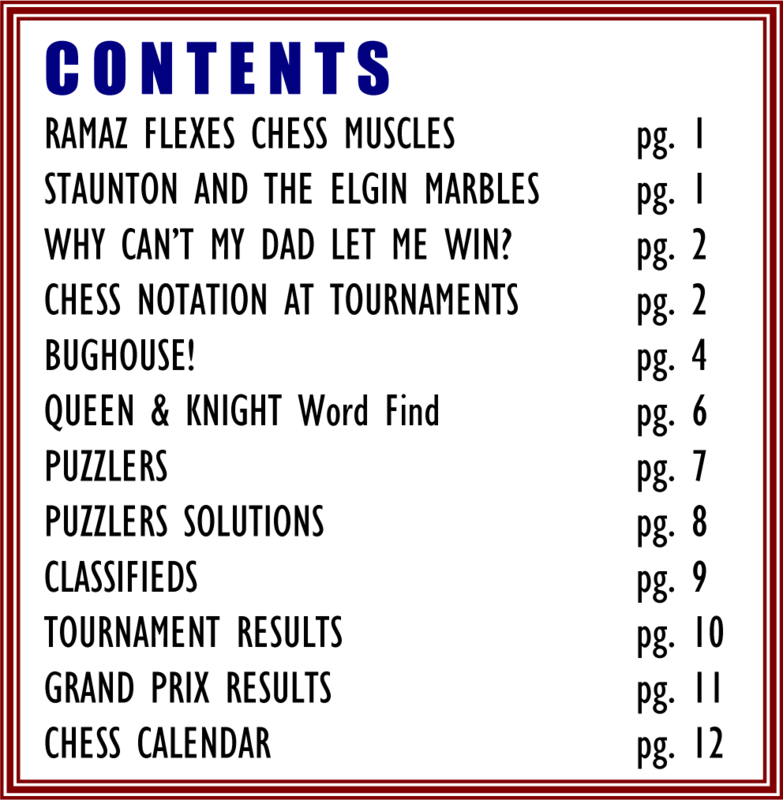 “Bughouse” is by far the most popular variant and often, especially in a club atmosphere, more advanced kids when they hear the slangy name and learn how it is played, will soon ask their instructor “Hey, can we play bughouse?” Bughouse is played by an even number of players, with the most popular version involving 4 players and two boards. The boards are set up side by side with one player of the first team using the black pieces and the other member of the team with white pieces, sitting next to his teammate. bughouse play in class or club, can be very fun for kids and lead to more interest in the game overall. It is also dishonest to fake losing in a serious way. So keep in mind that though we want our kids to win, they want to win even more and can shy away from things when they lose. How to learn from losing and to push on despite losing and say “Lets play again”, to stay determined in the face of adversity are very important ideas for kids to learn right away. By being honest with ourselves and our children we can better prepare them for a truthful and successful life. Most importantly, notation can help you to figure out your mistakes and those of your opponent by reviewing the game afterwards with your coach or a higher level player.